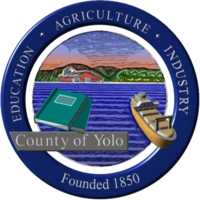 Yolo County, officially the County of Yolo, is a county in the northern part of the U.S. state of California. As of the 2010 census, the population was 200,849. The county seat is Woodland. It is in the Sacramento Valley. Yolo County was founded in 1850. This page was last changed on 17 September 2018, at 16:32.